Throughout his life and career, as a professional engineer, international consultant, theorist, and linguist, Nevitt was associated with the phenomenon of modern communications. His interest in the theoretical aspects of mass media and communications resulted in a professional association and personal friendship with Professor Marshall McLuhan of the Centre for Culture and Technology, University of Toronto. In addition to being a prolific writer, who even experimented with science fiction, Nevitt was an international lecturer. 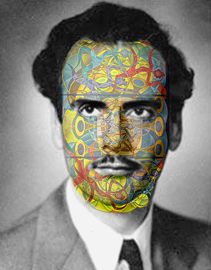 Nevitt’s association with Marshall McLuhan began while he was a graduate student. 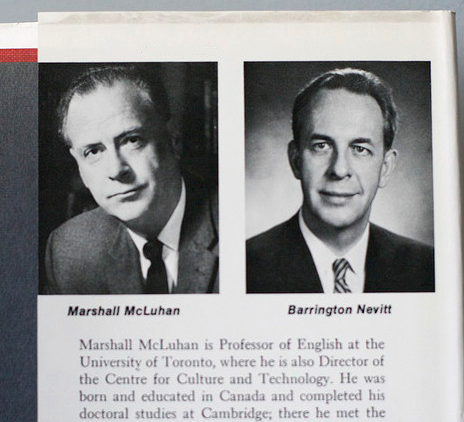 From 1965 until McLuhan’s death in 1980, they wrote various articles and papers together. In 1968, McLuhan invited Nevitt to collaborate on the book later published under the title Take Today; the Executive as Drop Out. 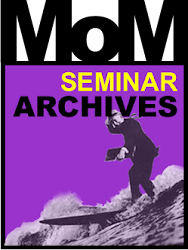 For more than a decade, Nevitt assisted McLuhan in the conducting of weekly seminars at the Centre for Culture and Technology. Nevitt published several works throughout the later portion of his career including: ABC of Prophecy, (1982), The Communication Ecology (1982), Keeping Ahead of Economic Panic (1985), Who Was Marshall McLuhan ? (co-written with Maurice McLuhan 1993), and the self published science fiction work Captain Gulliver’s Interplanetary Travels. of a total, do secure men, as if they were at farthest. Download a .pdf of Barrington Nevitt's " Visible and Invisible Bias Via Media "